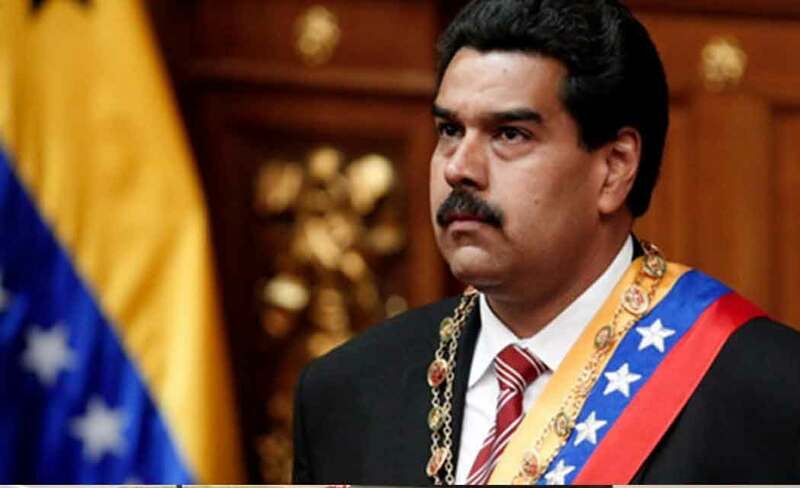 CARACAS, Venezuela (AP) _ President Nicolas Maduro raised Venezuela’s minimum wage Friday to help workers being battered by the world’s highest inflation. The wage increase, while a welcome relief for many workers, fell short of expectations that the embattled Maduro might use Friday’s celebrations to expand state control of the slumping economy. In recent days, Maduro has stepped up attacks on the country’s business elite, prompting the head of the nation’s biggest food maker, Empresas Polar, to publish a rare public letter to the president calling for dialogue. “Sometimes we don’t see the face of the monster that wants to destroy the economy and irritate the people,” Maduro told supporters at Friday’s rally. He promised more measures in the coming days that he said would wrest control of the economy from the “oligarchs” and “big wigs” who he accuses of trying to topple the government. The pay increase follows a 15 percent hike in January and will take Venezuela’s minimum wage to 7,324 bolivars a month. That is about $1,162 at the country’s official exchange rate but less than $30 at the black market rate widely used to set many prices. Economists say the wage increases are only likely to feed the inflationary spiral that coupled with widespread shortages of goods is wreaking havoc on Venezuelans as the oil-dependent economy struggles. Inflation last year totaled 69 percent, the highest in the world. And with oil prices down by a third from a year ago, the amount of dollars available to pay for importing goods ranging from car parts to toilet paper has fallen sharply, leaving reserves of international currencies at their lowest level in nearly 12 years.